If we were just “tourists” here in Cabo, we would never get to experience the blessings that we have had. We have spent most of our time in neighborhoods that are away from the many hotels and tourist attractions. 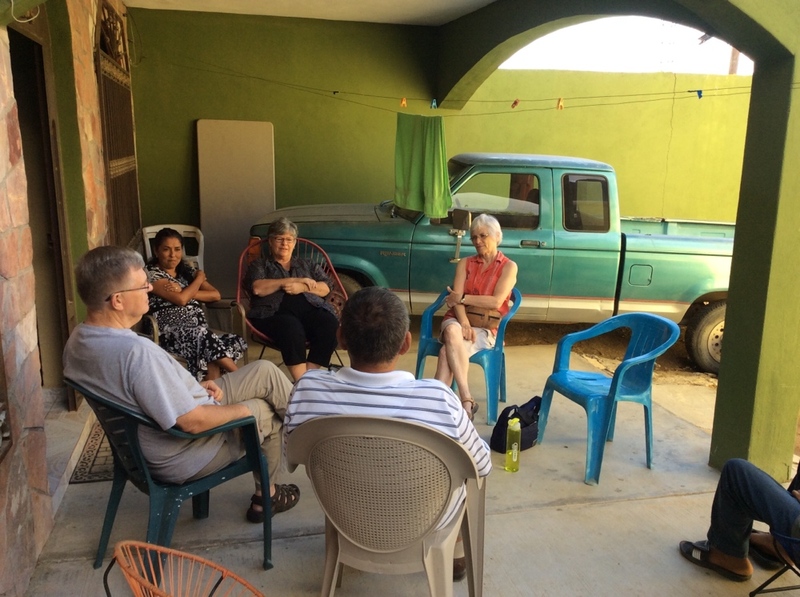 We are eating our meals in the homes of the church members, a different one each day, and are getting the opportunity for wonderful times of fellowship. Tonight’s parenting seminar (#1 of 3) was well attended. We had an encouraging evening with the 35 parents and grandparents, they were very attentive to Dale’s teaching, and are excited to return tomorrow. The church uses their covered patio area for their services. 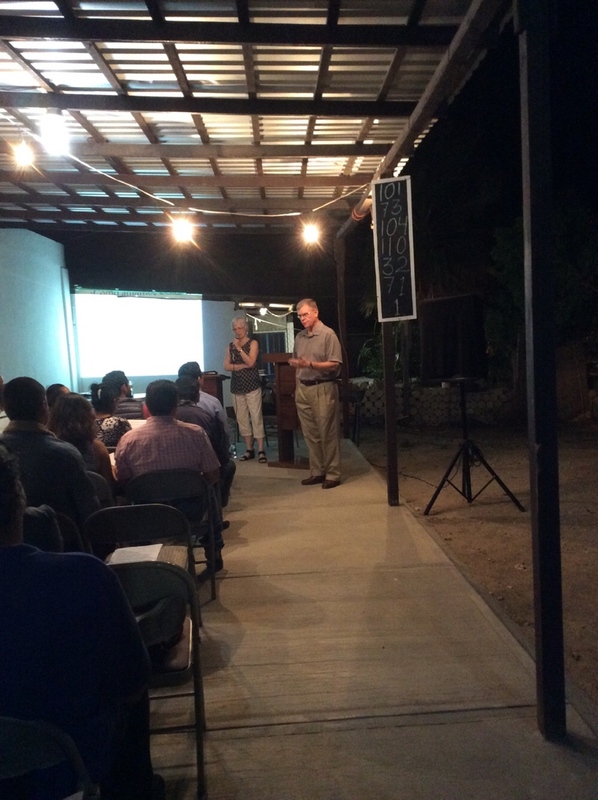 The cement patio is attached to a building that has bathrooms, a nursery room, a youth/storage room, the pastor’s office, and a larger room with tables. Visiting on our host’s porch after lunch today. Pollo with rice and watermelon juice for dinnner.